Here's a look at prostitution from a male perspective. It's quite interesting. The whole prostitution thing when viewed from the eyes of men as the John is sometimes quite glamorous. Imagery of hot, young women in tight mini dresses at one's beck and call to server one's every sexual whim. But when that viewpoint comes from a man as prostitute, the viewpoint is very different. Not all paying "johns" are hot, young women in tight mini dresses. Far from it. Man or woman, Johns are just regular people and regular people are from from the seemingly glamorous fantasy. But the message in this PSA from the European Women's Lobby which is aimed at men isn't to call attention to the fact not everyone is hot. It's to make men aware of the fact prostitutes are likely disgusted by you, would never have anything to do with you if you weren't paying and wished you'd understand the harm you're doing when you hire a prostitute. Well here's a pleasant one as we ease our way back into the work week. 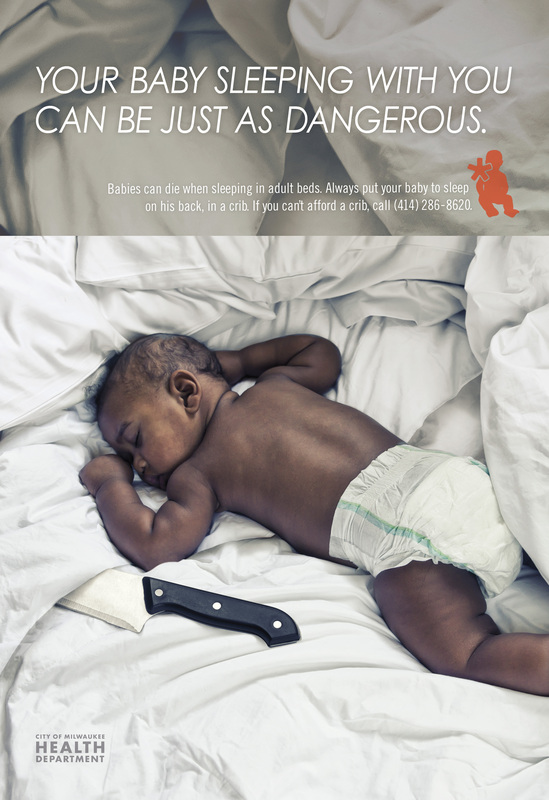 A new Serve Marketing-created campaign from the City of Milwaukee Health Department would like people to know it's dangerous to sleep with your baby. The campaign, which uses the imagery of a baby sleeping with a knife, urges parents to make sure their baby sleeps on its back in a crib and offers a number to call if the parent can't afford a crib. See the second ad here. OK. So here we go again. Wasn't it determined that scare tactics don't work when it comes to getting kids to stop drinking, stop doing drugs and to not text while driving? If that's the case The Meth Project hasn't been informed. An tandem with Darren Aronofsky, Organic and Wild Plum, four new commercials continue down the "hard-hitting" road to getting people's brains off drugs. We're not claiming the four scenarios we see in this campaign. Don't happen. They do. Far more often than anyone would like. But hasn't it been determined that all these scare tactics get is a "well that would never happen to me" response? As always, we could be wrong. 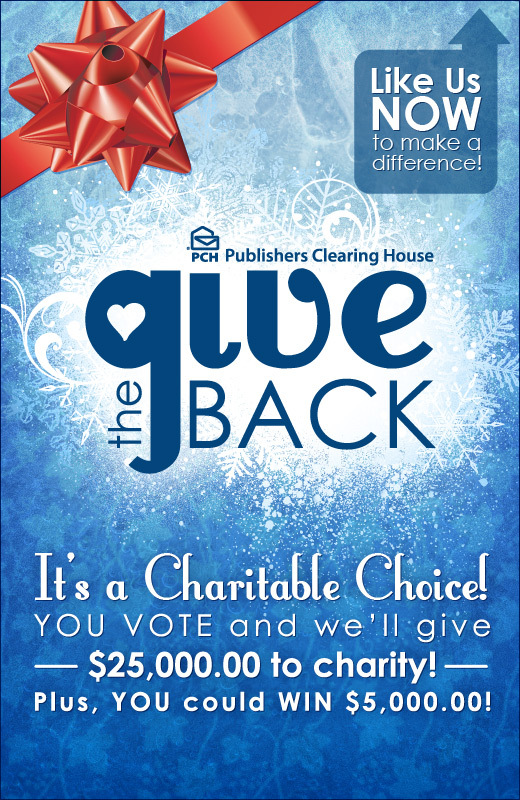 Today Publishers Clearing House launched a social charity program on Facebook called The Give Back which lets PCH Facebook fans vote for the charity they would like to see the company award $25,000. 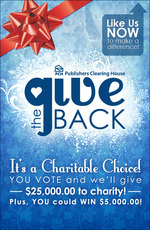 Second and third place charities will receive $2,500 each and, to encourage participation, one Facebook fan will receive a $5,000 prize. The Give Back program is a two stage process. In the first stage, fans will vote on ten different causes, including Fight Disease, Save the Environment, Protect the Animals, Help the Homeless, Develop Communities, Improve Education, Enrich the Arts, Promote Sports, Provide Disaster Relief and Support the Troops. This stage will last approximately two weeks. The three causes with the most votes will move on to the next rounds. 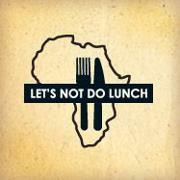 Butler, Shine, Stern & Partners has launched a social media fund raising effort called Let's Not Do Lunch which aims to capture money otherwise spent on lunch. 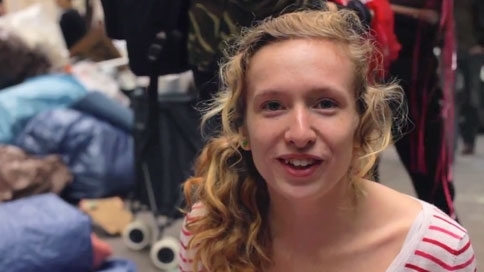 The effort hopes to raise £1 million for famine relief in East Africa. The Let's Not Do Lunch campaign is one of an intended 50 technology-based solutions that agency Made By Many is crowd-sourcing from agencies around the world with the goal of launching 50 projects in 50 days to raise funds for famine relief. The 50/50 project has nearly 40 global initiatives and launched October 17, World Hunger Day. Butler, Shine, Stern & Partners Director of Strategy and Innovation Ed Cotton said, "Our idea was to create a social movement behind famine relief by tapping into social experiences we all enjoy, many of which are built around sharing a meal with a friend, colleague, business associate, even family. Through our Facebook application, 'Let's Not Do Lunch,' we are leveraging the social experience into a social action that can be shared and activated through Facebook, Twitter, Instagram and YouTube channels." So, people, don't eat lunch today. 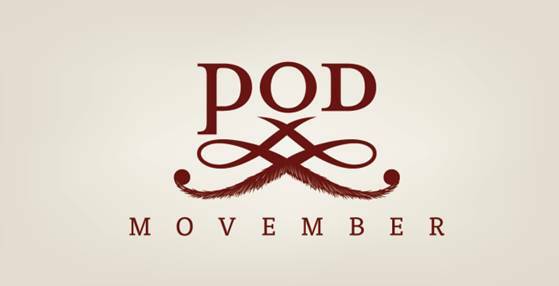 Donate to the cause. You'll feel good. Trust us. You will. In support of UNICEF relief efforts for the famine in East Africa, Boston's Mullen has announced the Good Belly Project, a social media-powered fundraising partnership with 17 Boston restaurants and their customers. 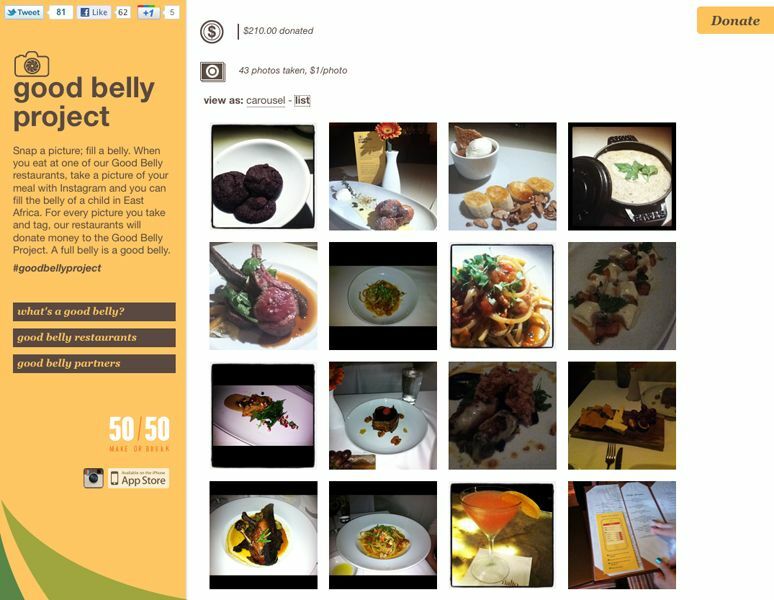 For each Instagram photograph taken of food or drink at participating Good Belly establishments, the tagged restaurant will donate $1 to the Good Belly Project and to UNICEF's East Africa relief efforts. The Good Belly Project kicks off on World Food Day, Sunday, October 16 and runs through November 6. The U.S. Army and the Ad Council, with pro bono help from Publicis New York, have launched a new series of TV, radio, print, outdoor and Web PSAs aimed at helping kids stay in school. 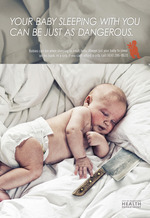 The PSAs direct friends, parents and adults who know at-risk students, ages 9-17, to www.BoostUp.org. On the site, visitors can learn about the dropout issue and state-by-state dropout statistics, hear from real students about the challenges they face to graduation, and find connections to ways to get involved directly with students or support classroom projects in their communities. Also launching today is Boost Nation, a microsite developed in collaboration with the 26 Seconds BMOR campaign that will facilitate the creation and sharing of video and written messages for students to view and see that people all across the country do care that they stay in school and graduate. LeBron James and Miss America 2011 Teresa Scanlan are among the first to share their video messages of support on Boost Nation.